Do you run a multilingual e-commerce store? 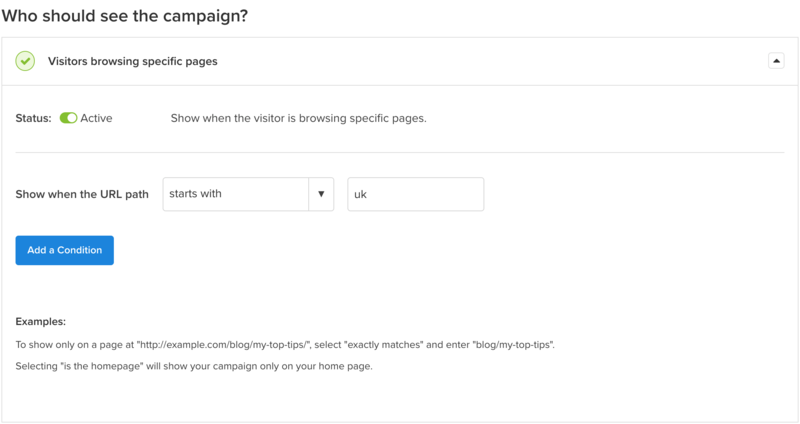 Do you need to make your optin campaigns match the language of your visitor’s location, just like the rest of your site’s content? In this case study, we’ll learn how Libratone used OptinMonster to do just that, increasing their email list 400% as a result. Libratone created one of the world’s first wireless speakers, giving listeners the freedom to enjoy rich, authentic sound anyhow, anywhere. They pride themselves on the look of their speakers, combining minimalist Scandinavian designs, and soft fabrics with warm, interesting colors. Per Dyring Dahlberg​, CRM Manager for Libratone, talked with us about the challenges they faced collecting subscribers and how they’ve overcome those using OptinMonster. Per knew that if they truly wanted to focus on lead generation, they would need a better tool, like OptinMonster. OptinMonster’s easy drag and drop builder gives complete control of what your optin looks like, when it appears, and who can see it. Libratone’s website is multilingual. The language of the content adjusts to match the primary language used at the visitor’s location. The URL structure changes, also. For example, visitors from Spain will see content in Spanish at libratone.com/es while visitors from France will see it in French at libratone.com/fr. Using OptinMonster’s page targeting display rules, Libratone can assign optins to appear only for specific countries. On a multilingual site, an optin configured as shown above would only appear to visitors from the UK. 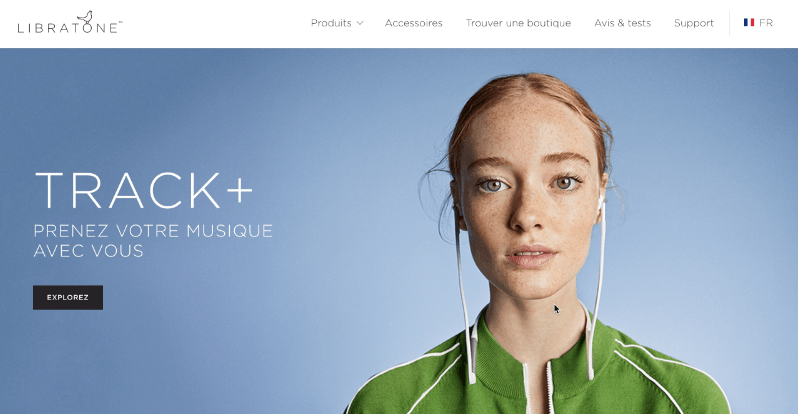 Libratone then creates three optins for each of the 27 countries that contribute traffic to the site, for a total of 81 optins. The offer in every optin is the same; only the language is changed. An optin set targeted to appear only for visitors from France would be written in French, while a set targeted to Spain would be written in Spanish. The first optin in the set is a lightbox optin that is designed to capture the attention of visitors who are about to leave the site without making a purchase. It is triggered when the visitors mouse motions towards the browser bar using our Exit-Intent technology. Since the visitor is already about to leave without taking an action, there is no harm in making one last offer to try to keep them engaged. In fact, many times, these Exit-Intent offers are the best converting optins. The optin above converts .74% of abandoning visitors from the UK into subscribers. Next, he adds a slide-in optin in an effort to reach the engaged reader. It appears from the bottom right of the screen when the visitor has scrolled at least 30% of a page. This optin converts .86% of visitors from the UK. And last, Per creates an optin that appears only for visitors on mobile devices who have scrolled 30% of the page. While the offer made here is the same, the overall size of the optin is better for readers on a small screen. It doesn’t prevent them from navigating the site, even while the optin is present. This optin converts 3.16% of mobile visitors. Imagine those same results for each of the 27 countries, and you can see why OptinMonster has been a big win for Libratone. Before OptinMonster, we were gaining 20 subscribers a week. Now, we are now getting approx. 100 subscribers per week even with 40% less traffic on the site. And the quality of the leads is high! 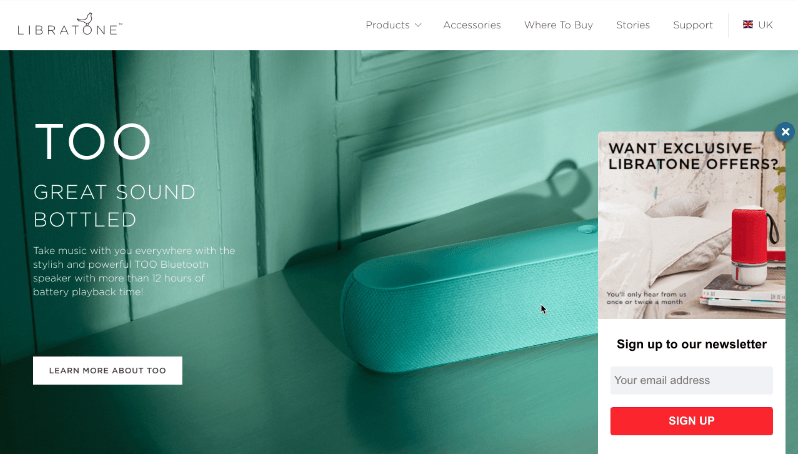 Libratone converted 3.8% of mobile visitors. 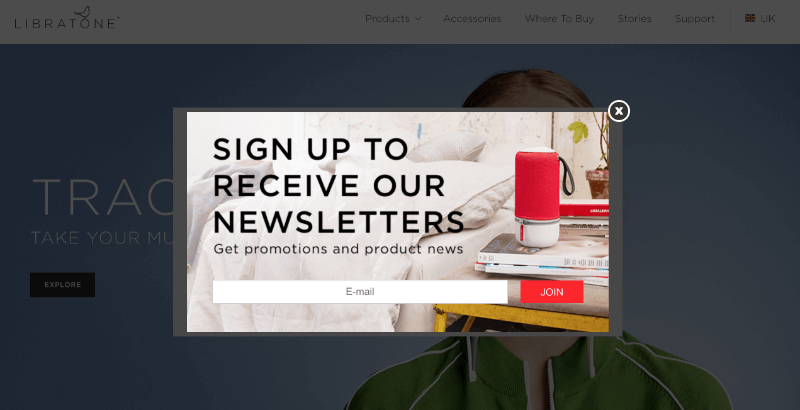 Libratone increased their email list growth by 400%. Libratone easily created 81 optins without needing a developer or designer. 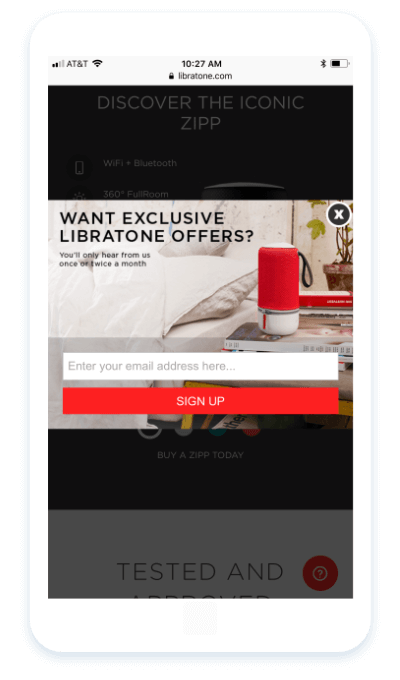 Libratone created a system to personalize their optin campaigns based on the visitor’s location, language, onsite behavior and device. You can do the same using OptinMonster’s easy to use page targeting and display rules. Since our webmaster found OptinMonster, we’ve had full flexibility on how, when and where a popup is shown. It has been a blast since then. Before OptinMonster, we were getting 20 subscribers a week. Now, we are now getting approx. 100 subscribers per week even with 40% less traffic on the site. These are really good results!